MICHAEL NOONAN HAS said the possibility of a bank debt deal through the EU is not “off the table” but indicated the government is considering selling its stake in the banks on the open market. The Finance Minister made no reference to the historic 29 June 2012 agreement at EU level to break the link between sovereign and banking debt in his Spring Economic Statement to the Dáil today. At the time the agreement was described by government figures as a ‘game changer’ which meant there was a possibility Ireland could retrospectively recapitalise AIB and Bank of Ireland, which received some €25 billion in State funding after the crash. However, the lack of progress on a deal and a cool response to the idea from various European institutions and public figures has seen the government heavily criticised by the opposition. Having failed to mention the issue in his speech today, Noonan said this evening that the government would make a decision one way or another before the end of the year but signalled that other options are being pursued. He cited the State’s recouping of €525 million through the sale of shares in Permanent TSB on the capital markets yesterday. “It’s not off the table, but the government policy is to recover as much of our investment as possible on behalf of the taxpayer,” Noonan said of a possible bank debt deal today. He said, at present, the approach similar to that taken with PTSB “gives us the best return rather than a bilateral with European institutions”. “As well as that, the European institution – the European stability fund – if they become the owners they’re not really bankers, they’re people who raise money on the markets, whereas there’s expertise with the private investors. So while we haven’t taken anything off the table – and we’ll make a decision later in the year – at present we’re tending towards best value in the market for the reasons I’ve given you. He said that a decision would be made one way or the other before the end of the year, saying that if AIB is being put out to prospective buyers on the market “we have to say we’re not pursuing the other route”. Noonan said that the sale of State shares in Irish banks, including AIB, will happen towards “the back end of the year or early next year”. “We’re not going to connect the sale of the shares in AIB to the political timeline,” he insisted. Public Expenditure and Reform Minister Brendan Howlin said that the government’s intention was to “go whatever route is in the best interests of the Irish taxpayer”. 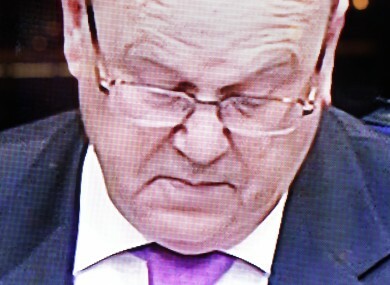 Email “Has Michael Noonan given up on a bank debt deal? ”. Feedback on “Has Michael Noonan given up on a bank debt deal? ”.